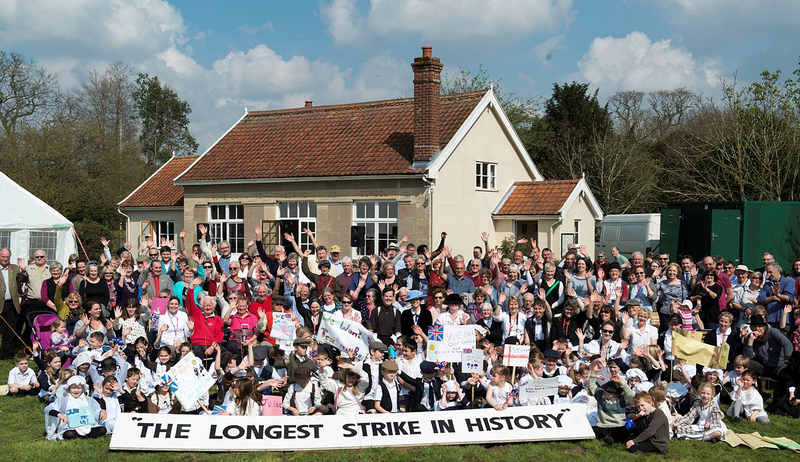 A key activity during 2014 was the Centenary Appeal to support the fabric of the Strike School building. 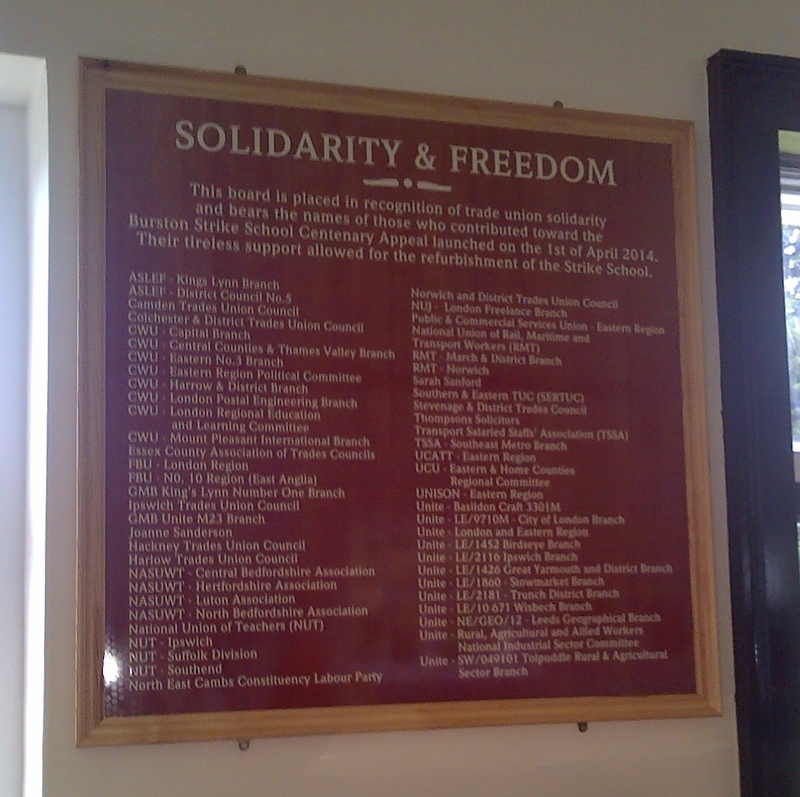 A Solidarity and Freedom board has now been put up in the school, marking the contribution of all who donated. 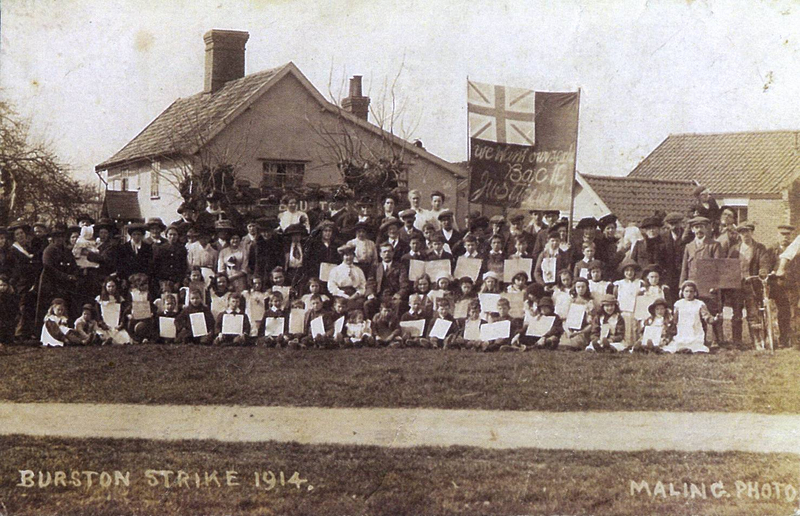 1 April 2014 is the centenary of the start of the children’s strike – so there are additional events during the year. On 1 April we recreated the 1914 picture. Thanks to Peter Everard-Smith!